At first glance at a map it might appear that Scotland's only frontier troubles would come from its southern neighbour, England. But for a nation with an extensive coastline and remote island territories, there was once the threat of the Scandinavian naval powers to contend with as well. Considerable parts of what we now consider to be Scotland were once in fact ruled from Norway, and to this day the furthest isles seem to have as much in common with Norway as with the Scottish mainland. Nearly half the population of the Shetlands is said to be descended from Norwegian Vikings, and about a third of those on Orkney. 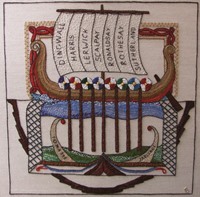 Dingwall and Wick are clearly names of Viking rather than Scottish origin, and words like bairn and muckle found their way into Scots via the Norwegians. As the kings of early medieval Scotland began to consolidate their rule over the kingdom's outer limits, conflict with those areas still dominated by Norway was inevitable. When Haakon IV of Norway refused to sell the Hebrides to Alexander II and Alexander III of Scots, it led to war. The inconclusive but famous Battle of Largs in 1263 led to the reassertion of Scottish control of the islands which was accepted in a treaty of 1266. The battle is commemorated today with an annual festival and re-enactments (left), although its significance has tended to be overplayed in the historical tradition. Despite Norway's loss of its Scottish territories, connections remained strong: Alexander III's own daughter married King Eric II of Norway. The child of that union was the famous Maid of Norway, the infant child who became heir to the Scottish throne at Alexander's sudden death in 1286. Margaret had spent her first tender years in Norway, but the crisis in Scotland required her to be sent to Scotland to become queen. 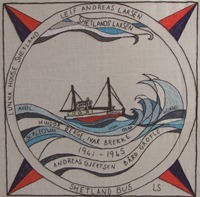 Only seven years old, she took ill at sea and died on Orkney. Margaret of Norway's death paved the way for a long period of succession crises, civil strife, and ultimately the Wars of Independence. 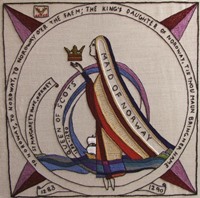 The Earldom of Orkney continued to be technically a fiefdom of Norway right up to 1470, when overlordship was transferred to the Scottish Crown as part of dowry arrangements (James III had just married another Margaret of Norway, daughter of King Christian I of Norway and Denmark). The relationship was not all one-way, and Scots played a part in the history of Norway as well. 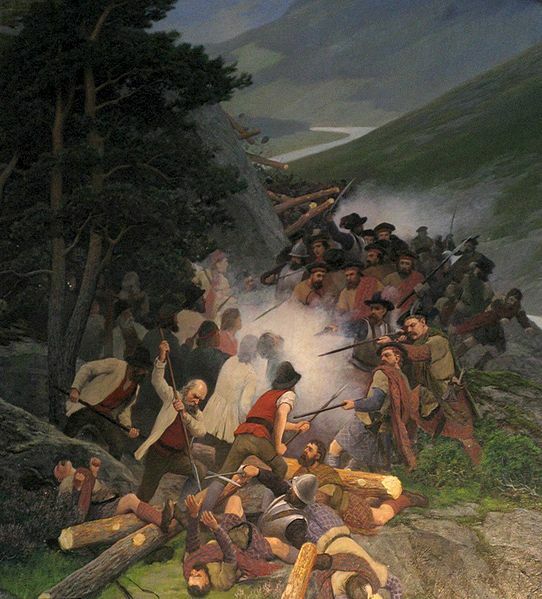 Norwegian folklore preserves the story of the Battle of Kringen in 1612, when local militia ambushed and destroyed a small Scottish force led by Alexander Ramsay. The Scots were intending to join the armies of Sweden, which was then at war with Denmark-Norway. The battle was later heralded as an important moment in the story of Norwegian national identity, and monuments, re-enactments, songs and paintings (sometimes rather romanticised, as in the nineteenth century image on the right) all record the story. 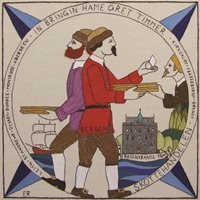 It is often said that Norway and Scotland are closely connected, in some of the attitudes of their stalwart peoples as well as their shared heritage. Every Christmas there is a powerful symbol of that closeness in Edinburgh: the city's Christmas Tree, standing proudly on The Mound, has for the past 27 years been sent as a gift from Norway. The gesture is a thank you for the support Scotland provided in the Second World War, during which the bulk of the Norwegian Army was based in Dumfries, its soldiers in exiled after the German invasion. The ties between Norway and Scotland have been loudly trumpeted in the media recently, as supporters of Scottish Independence look across the sea and find reassurance in the way that Norway has weathered recent economic storms. Whatever the contemporary politics, it is surely right that Scotland and Norway continue to acknowledge the historical connections between the nations. Perhaps that is why there is a strong Norwegian-Scottish Association, and why reports indicate a rapidly increasing demand for Scottish whisky in Norway! Leis a’ chiad shealladh air mapa shaoileadh neach gun tigeadh trioblaidean crìche Alba bho a nàbaidh aig deas a-mhàin, ’s e sin Sasainn. Ach do nàisean air a cuairteachadh le oirthir costa agus eileanan fad às, aig aon àm bha bagairt a’ tighinn bho na cumhachdan mara Lochlannach leis am feumaist dèiligeadh cuideachd. Bha pàirtean mòra ris an can sinn Alba an-diugh aig aon àm air an riaghladh le Nirribhigh, agus chun an latha an-diugh tha na h-eileanan as fhaide air falbh cho coltach ri Nirribhigh ’s a tha iad ri tìr-mòr na h-Alba. Thathar den bheachd gu bheil faisg air leth na h-àireamh-sluaigh ann an Sealtainn bho shinnsearachd Lochlannach, agus mu thrian den fheadhainn ann an Arcaibh. Tha e follaiseach gu bheil ainmean mar Inbhir Pheofharain agus Inbhir Ùige bho thùs Lochlannach seach Albannach, agus thàinig facail mar bairn agus muckle a-steach don Albais bho na Lochlannaich. Mar a thòisich rìghrean Alba sna meadhan-aoisean a’ daingneachadh an cumhachd thar chrìochan a-muigh na rìoghachd, bha còmhrag leis na h-àiteachan sin a bha fhathast fo smachd Nirrribhigh do-sheachanta. Nuair a dhiùlt Haakon IV Nirribhigh Innse Gall a reic ri Alasdair II agus Alasdair III na h-Alba, lean e gu cogadh. Lean Batal neo-dhearbhte na Leargaidh Ghallta ann an 1263 gu ath-thagradh de smachd Albannach air na h-eileanan ris an deach gabhail ann an cùmhnant ann an 1266. Thathar a’ cuimhneachadh a’ bhatail sin san latha an-diugh le fèis bhliadhnail agus ath-actaidhean (clì), ged a thathar buailteach cus a dhèanamh de a chudromachd anns an traidisean eachdraidheil. A dh’aindeoin gun do chaill Nirribhigh fearann ann an Alba, dh’fhuirich na ceanglaichean làidir: phòs nighean Alasdair III Rìgh Eric II Nirribhigh. Bha an leanaibh aca ainmeil mar Mhaighdeann Nirribhigh, an naoidhean a thàinig gu bhith na h-oighre don rìgh-chathair an dèidh bàs obann Alasdair ann an 1286. Chuir Mairead seachad làithean a h-òige ann an Nirribhigh ach thug a’ chùis-eìginn ann an Alba oirre a bhith air a cur a dh’Alba gus a bhith na banrigh. Dìreach ceithir bliadhna a dh’aois, dh’fhàs i tinn aig muir agus bhàsaich i ann an Arcaibh. Lean bàs Mairead Nirribhigh gu ùine fhada de chùisean èiginn co-cheangailte ri luchd-ionaid, còmhstri catharra agus na dhèidh sin, Cogaidhean na Neo-eisimeileachd. Lean Iarlachd Arcaibh air adhart ann an da-rìribh mar phàirt de Nirribhigh suas gu 1470, nuair a thugadh ceannas do Chrùn na h-Alba mar phàirt de rèiteachadh tochraidh (bha Seumas III dìreach air Mairead Nirribhigh eile a phòsadh, nighean Rìgh Crìsdean I à Nirribhigh ’s an Danmhairc). Cha robh an dàimh dìreach aon-taobhach gu tur, agus bha àite mòr aig Albannaich ann an eachdraidh Nirribhigh cuideachd. Tha beul-aithris Nirribhigh a’ gleidheadh na sgeòil mu Bhatal Kringen ann an 1612, nuair a thug am mailisi ionadail ionnsaigh gun fhiosta air agus sgrios iad feachd beag Albannach fo stiùir Sheòrais Mhic na Ceàrdaich, mac peathar Iarla Chataibh. Bha na h-Albannaich an dùil ceangal suas le feachdan na Suaine a bha aig an àm sin ann an cogadh leis an Danmhairc-Nirribhigh. Chaidh am batal sin ainmeachadh às dèidh làimhe mar mhòmaid chudromach ann an sgeul dearbh-aithne nàiseanta Nirribhigh, agus tha carraighean-cuimhne, ath-actaidhean, òrain is dealbhan (uaireannan beagan romansach, coltach ris an ìomhaigh bhon naoidheamh linn deug air an làimh dheis) uile a’ clàradh na sgeòil. Tha e tric air a ràdh gu bheil Nirribhigh is Alba ann an dlùth-dhàimh a thaobh seasamh an t-sluaigh cho math ris an dualchas co-roinnte aca. Gach Nollaig, tha samhla chumhachdach den dlùth-dhàimh sin ri fhaicinn ann an Dùn Èideann: tha Craobh Nollaig a’ bhaile a bhios na seasamh gu pròiseil air an Tom, air a bhith fad nan 27 bliadhnaichean a chaidh seachad na tiodhlac bho Nirribhigh. Tha sin mar thaing airson an taic a thug Alba dhaibh san Dàrna Cogadh, nuair a bha a’ mhòr-chuid de dh’arm Nirribhigh stèidhichte ann an Dùn Phris agus na saighdearan ann am fògradh às dèidh iom-ruagadh nan Gearmailteach. Tha na ceanglaichean eadar Nirribhigh agus Alba air a bhith air an ainmeachadh gu soilleir sna meadhanan o chionn ghoirid, agus luchd-taic Neo-eisimeileachd na h-Alba a’ coimhead tarsainn a’ chuain agus a’ lorg cofhurtachd anns an dòigh a tha Nirribhigh air a thighinn tro dhuilgheadasan eaconamach o chionn ghoirid. 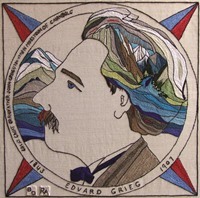 Ge ’r bith dè na poilitigs co-aimsireil a th’ ann, ’s cinnteach gu bheil e ceart gun lean Nirribhigh agus Alba a’ gabhail ris na ceanglaichean eachdraidheil eadar an dà nàisean. Is dòcha gur e sin an t-adhbhar gu bheil Comann làidir Nirribhigheach-Albannach ann, agus aithisgean a’ lìbhrigeadh gu bheil iarrtas mòr ag èirigh à Nirribhigh airson uisge-beatha na h-Alba!